“I HAVE TOO MANY LIPPIES” says no girl ever! Not me at least, I have aplenty of the same shade/texture but still find myself looking for more. Especially on mattes! Always being the gloss and natural lip colors kinda color, experimenting matte lippies was a whole new world for me. Today. 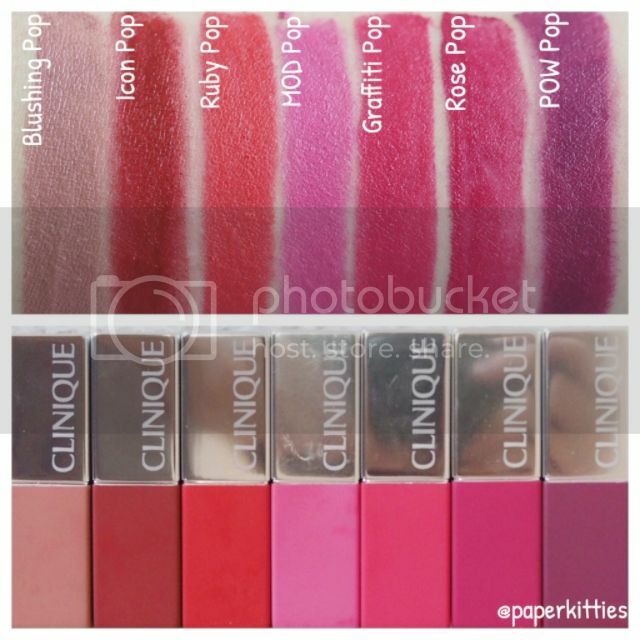 I’ll introduce my current Matte favorite: Clinique Pop Matte and Liquid Matte Color + Primer – a super pigmented matte lipstick with a moisturizing twist! 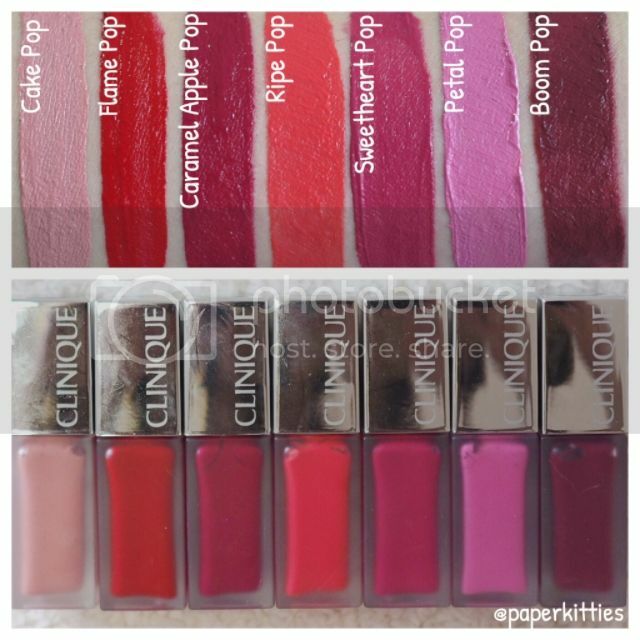 With 8 fun shades to choose from, Clinique Pop Liquid Matte Lip Colour + Primer is a texture-transforming formula that applies as a liquid then develops into a lustre matte finish with dramatic full coverage. Lips pop with an intense and saturated burst of non-sticky colour that last up to eight hours. These are the colors that I’ve received! I really enjoyed this hybrid liquid lipstick for its nourishing formula and rich color payoff. 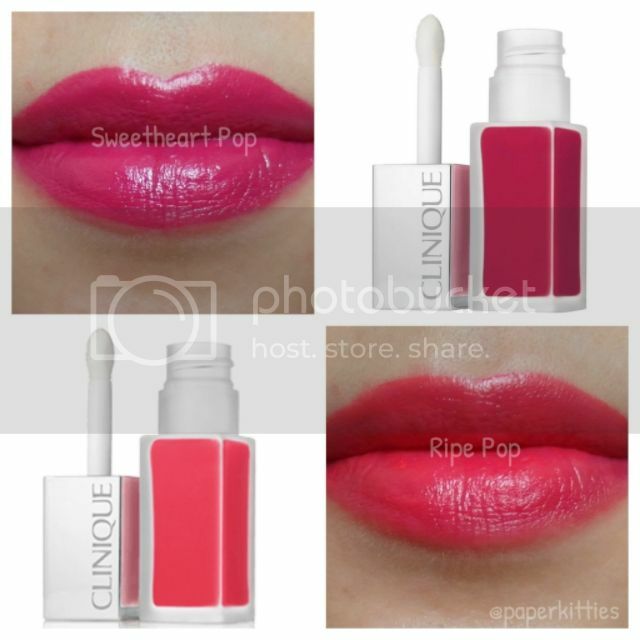 It was easy to apply, glide on my lips effortlessly and has a velvety matte finish. You may be disappointed if you’re looking for a super matte finish, but them being pretty transfer proof sure helps outweigh the “cons”. 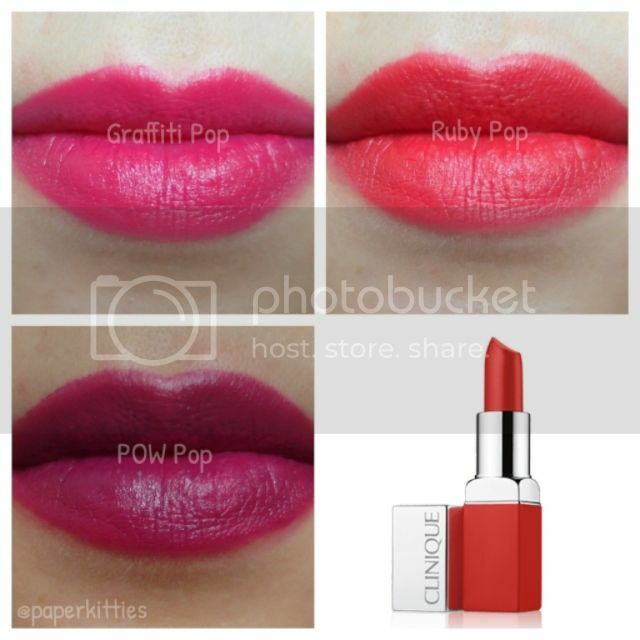 A contemporary mattified lip look that hug lips with highly pigmented colour for long-day wear, Clinique Pop Matte Lip Colour + Primer has a creamy yet lightweight formula, while the built-in primer seals in moisture and prevent your lips from having that tacky dried up/waxy feeling. Next Post Coach The Fragrance // Ding Dong!